Ken day trades and swing trades, looking for stocks that are breaking out with strong moves. Ken Calhoun is the president of TradeMastery.com and StockTradingSuccess.com (with Steve Nison). Having provided online training to active traders from over 32 countries since 1999, he is an internationally published trader who’s earned industry acclaim for his professional trading systems. 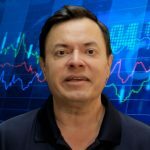 Mr. Calhoun has been featured in leading trade publications and events such as Technical Analysis of Stocks and Commodities magazine, Active Trader magazine, Equities.com, TheStreet.com, Equities.com and CBS MarketWatch.com. He is a graduate of UCLA and has traded millions of dollars of stocks, ETFs and more during his active trading career. How he day trades and swing trades equities. Which days of the week he finds his best trades. The qualities he looks for in a good stock trade. Why “getting paid” is the most important aspect of trading. When he holds a trade overnight and when he doesn’t. The ONE trade setup that he would trade if he could only trade one strategy. “Beyond Candlesticks” by Steve Nison. from losing money to making money. Bottom line, no general theories or abstract ideas here. 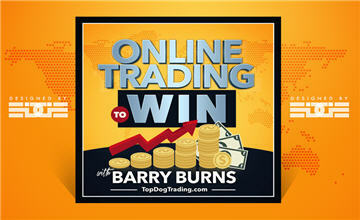 This is the practical stuff that can really work to bring real and dramatic change to your trading results..
Go get it for free while the show is still new.